If you have a pest problem in Queens, NY, we can help you. Residence in Queens have relied on Rest Easy Pest Control for pest removal and control services for many years. Our expertise and professionalism has only gotten better as we successfully rid homes and businesses from pests time and time again. 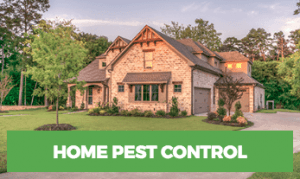 Choosing a pest control company in Queens is tough, and you need someone who knows what they’re doing from start to finish. When you work with Rest Easy, you know you are in good hands. Our customer service team will set you up with one of our several certified exterminators and have your problem checked and treated in no time. Rest Easy Pest Control is here to stay in Queens, and when you need us, no matter ants, mice, roaches, or bed bugs, we are just a call away. As a homeowner, you want to eliminate a pest problem as soon as it arises. Pests can reduce the value of your home and make your home unpleasant for visitors. Certain pests are also a problem if they are carrying any diseases. Maintaining a clean and tidy home is a great practice for preventing pests, but it’s not always enough. Sometimes, pests just have an easy entryway and will go in your residence no matter how clean it is. This is common in many areas of Queens where ants, roaches, and rats frequently inhabit. No matter how a pest gets in, you can rely on Rest Easy Pest Control to get it out. Our exterminators have treated many homes in Queens for pests. We have one-time service plans as well as monthly service plans. Depending on the pest and situation, it’s sometimes recommended to have us come back to check how the treatment is doing. In such a case, we’ll plan our periodic checkups at your convenience to make sure you’re 100% pest free. Commercial pest control may sound serious, but it should really be the top thing on your mind when it comes to running a successful business. Pests have the ability to completely destroy your reputation as a business owner, causing poor customer feedback and even failed health inspections. Train your staff in pest identification, and make sure you are following regular cleaning and maintenance checklists to help prevent a small population of pests from growing out of hand. 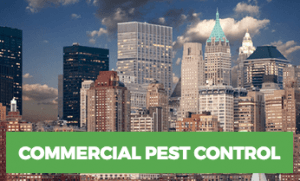 You can also rely on Rest Easy Pest Control for commercial pest control in Queens. Our exterminators are the most qualified and are a guaranteed solution to combatting pests on your commercial property. No matter what type of business you run, we know you don’t want pests around. Give us a call and we will set up the perfect pest management plan for your property. One of the more common pests in Queens these days, especially as people begin to travel and stay in hotels more frequently, are bed bugs. These pests can live in your mattress, box springs, or even bedframe. They attack at night, feeding on your blood to help fuel their breeding processes. 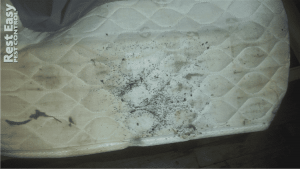 Bed bugs are extremely difficult to get rid of, requiring high temperatures and often chemical treatments in order to be completely eliminated. Speaking of tough pests to get rid of, termites are another tough pest to tackle. These pests work silently, wearing away at a home’s foundation over a period of several months to years. Often, home and business owners are completely unaware that they have termites. This is why it’s necessary to conduct regular pest inspections to make sure your property is not the next victim to these silently munching foes. While these pests may seem scary, largely because they are so difficult to spot, keep in mind that most common pests in Queens are those that are easily spotted. For example, ants and rodents are two common pests in this county, attacking both homes and businesses alike. Ants come in all shapes, sizes, and colors, with one of the most common species being Pavement Ants. These ants are typically found in urban areas and may come inside seeking food or water. Similarly, rodents are also common in Queens. Rodents, such as the House Mouse or Norway Rat, thrive in urban areas. These pests feast upon garbage and leftover food and can be tough to get rid of because they breed rapidly. If you suspect an infestation, contact a pest control service immediately. Cockroaches are often found in the kitchens and bathrooms of Queens County homes. Whether your roach problem is in your home or office, our cockroach exterminators are prepared for the job. Call us today and we’ll walk you through our effective techniques for getting rid of cockroaches in Queens. If you’ve done everything in your power to prevent and eliminate a pest infestation, take a break. Why should you keep wasting time and energy on a pest problem that it takes professional help to treat? Consider organic pest control for an all-natural, personally crafted approach to your pest infestation problem. We will work with you to develop the best solution for your schedule, lifestyle, budget, and business goals, and we won’t waste time experimenting with costly techniques. 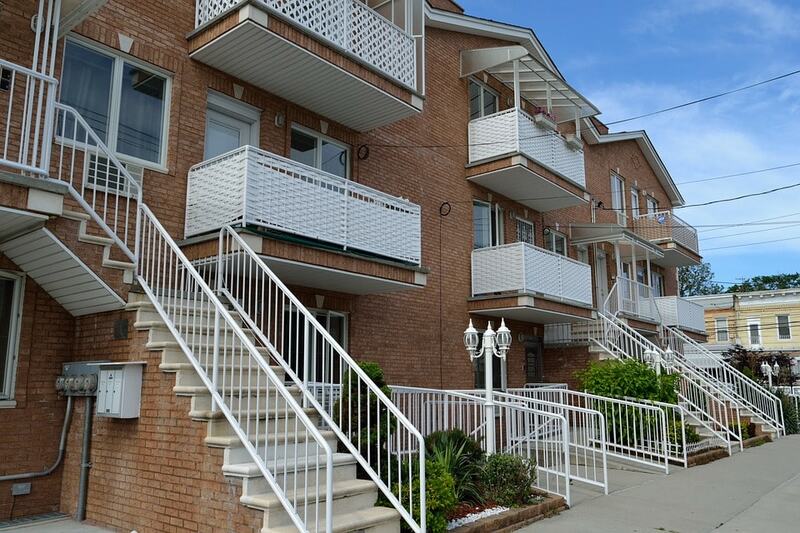 Contact us today for a free quote, and return to enjoying everything you love about Queens, NY.